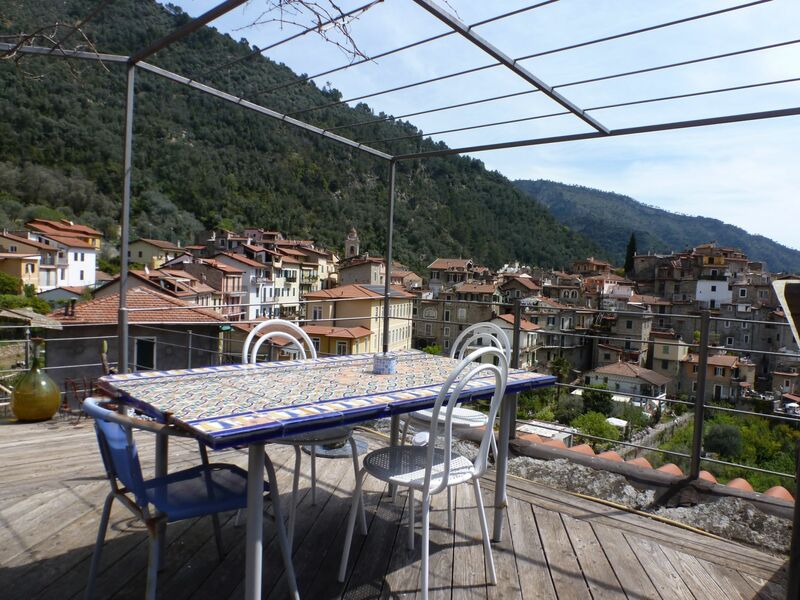 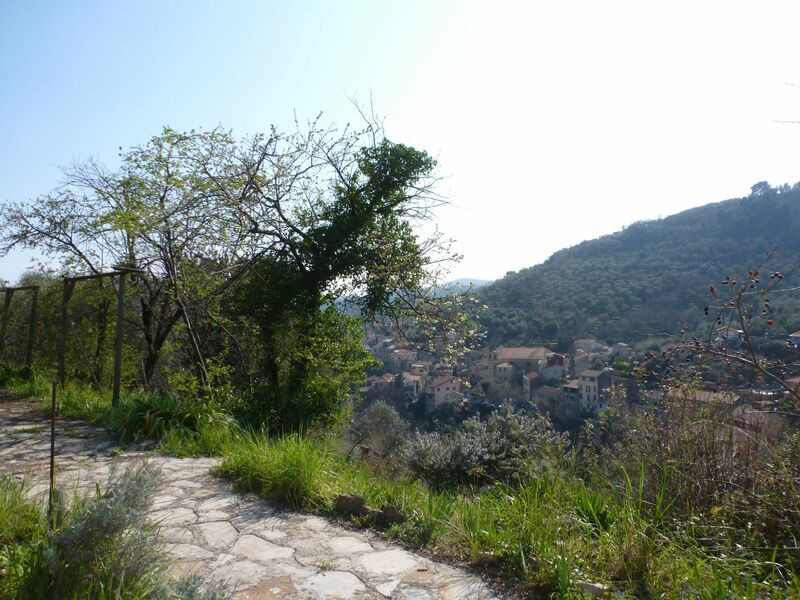 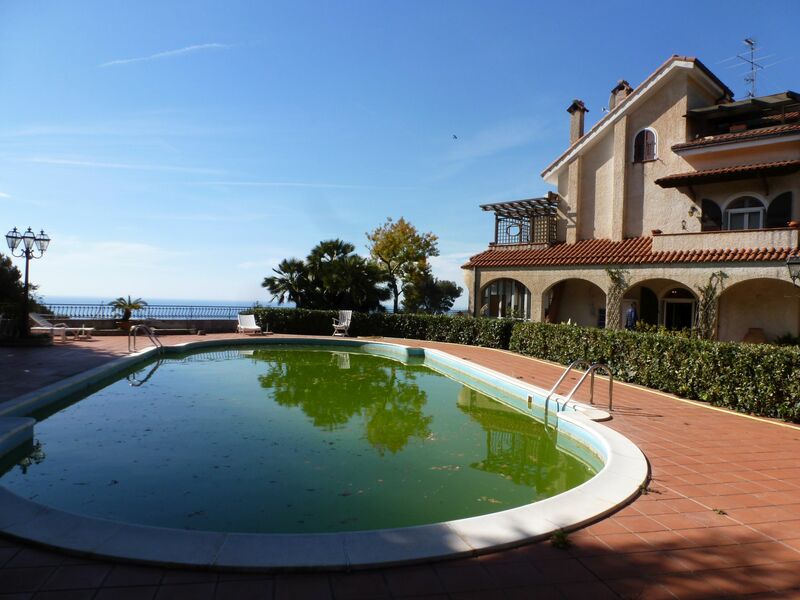 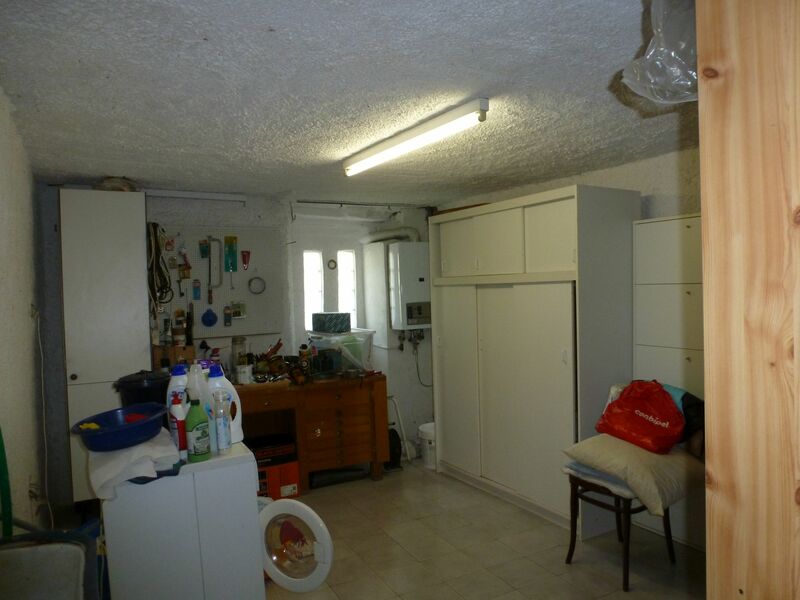 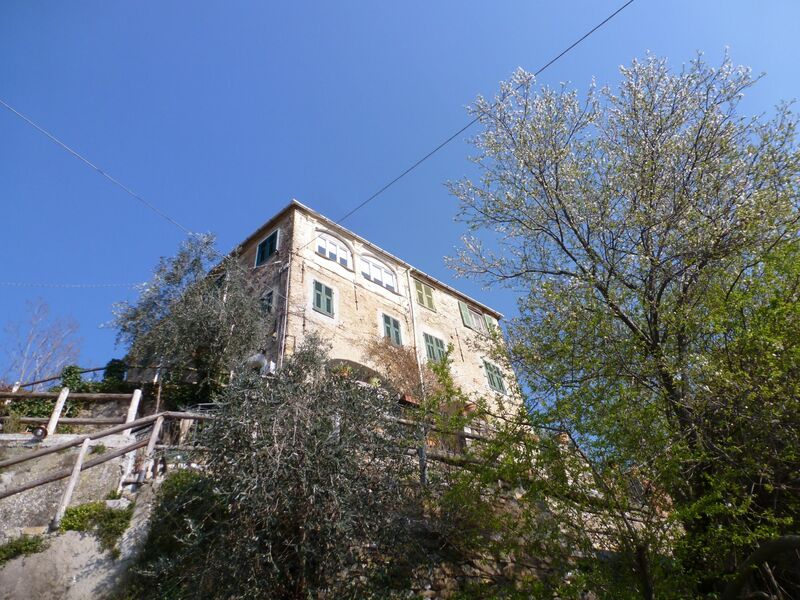 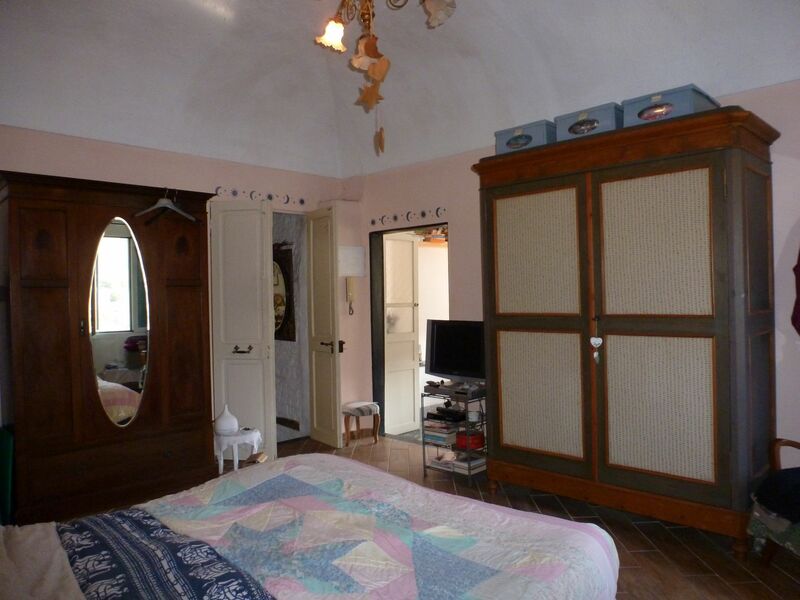 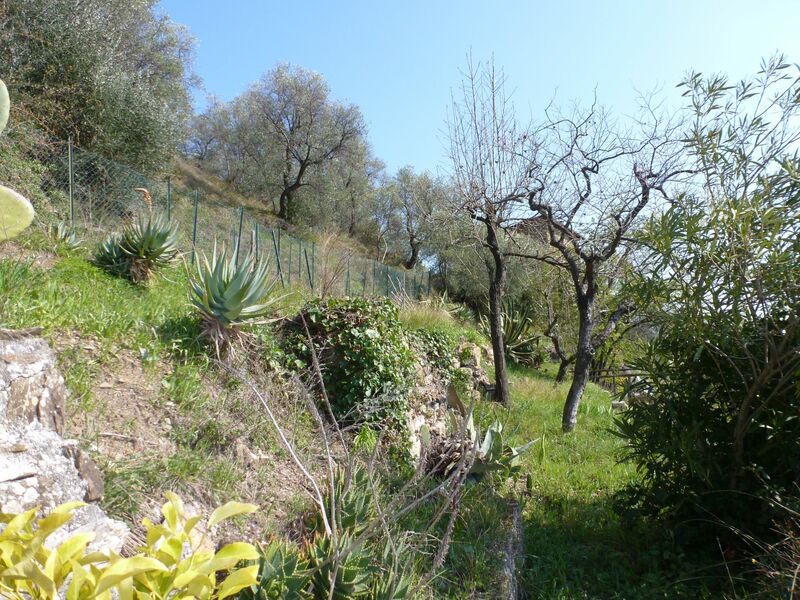 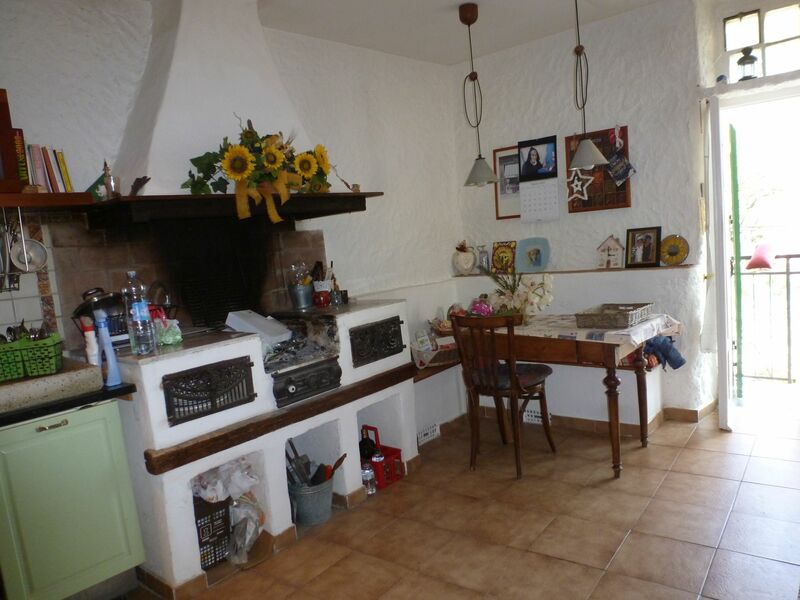 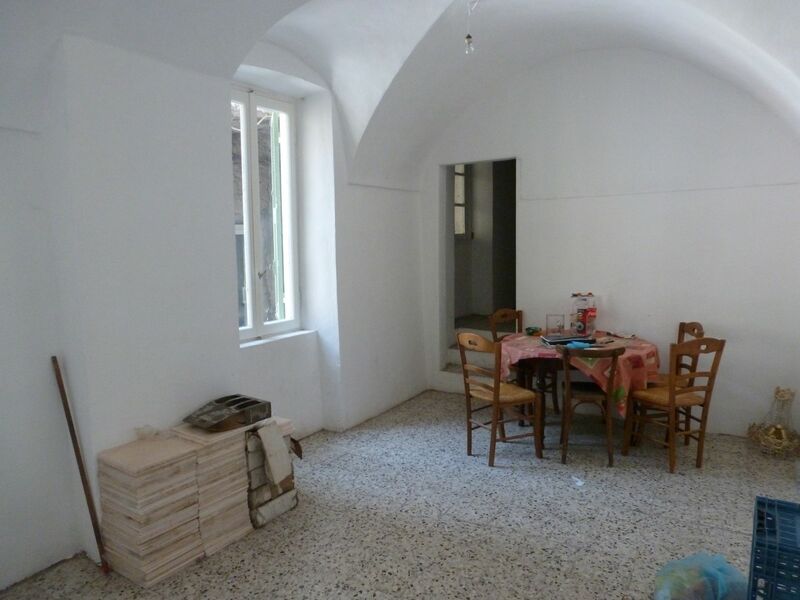 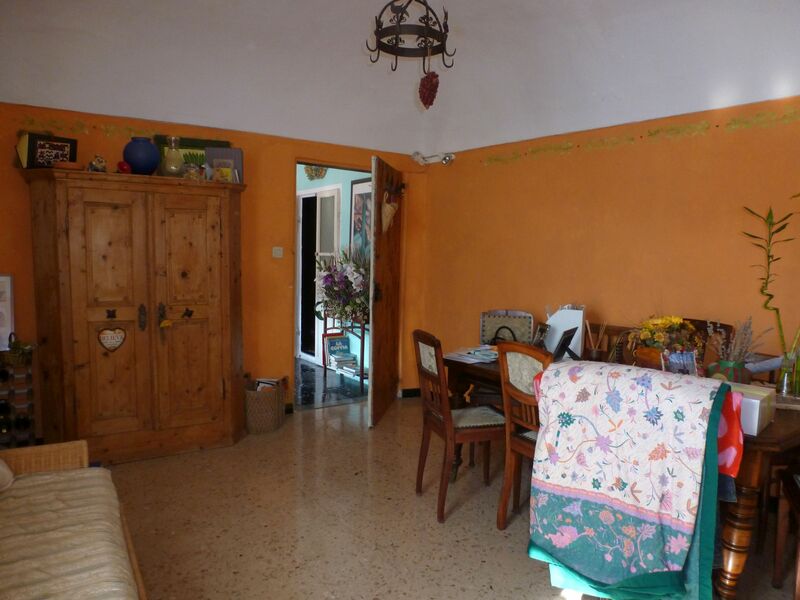 At only 8 Km from Imperia, in the small village of Moltedo, part of house with garden. 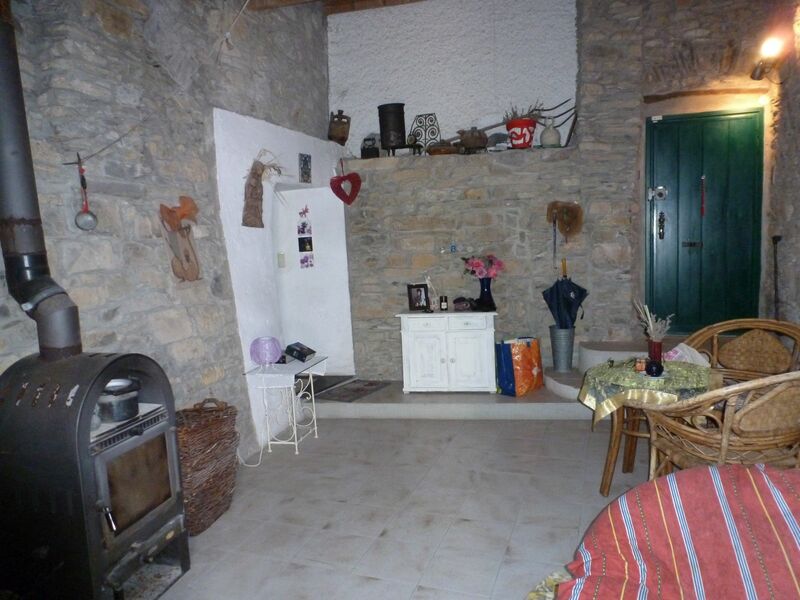 The house occupies the whole second floor of the ancient stone building, dominating the village. 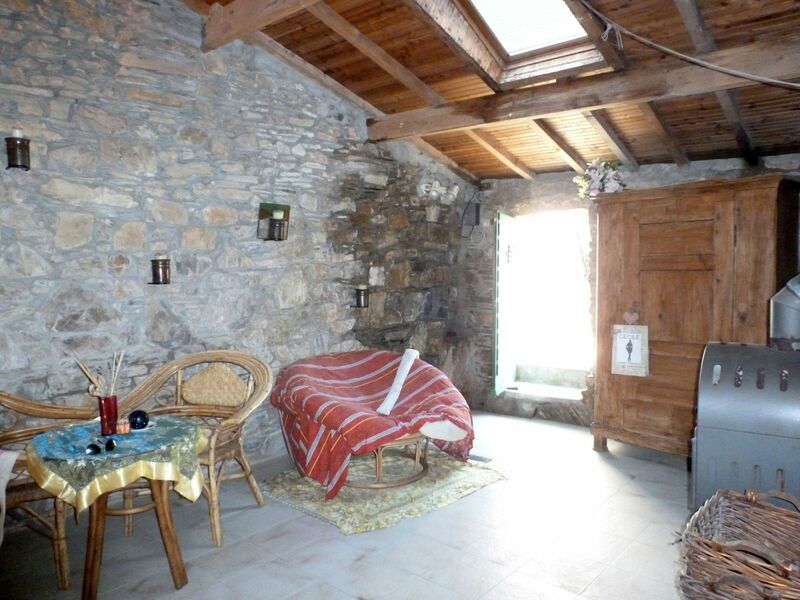 The entrance is in a lovely room with stone walls, wooden ceiling, wood stove and exit to the garden. 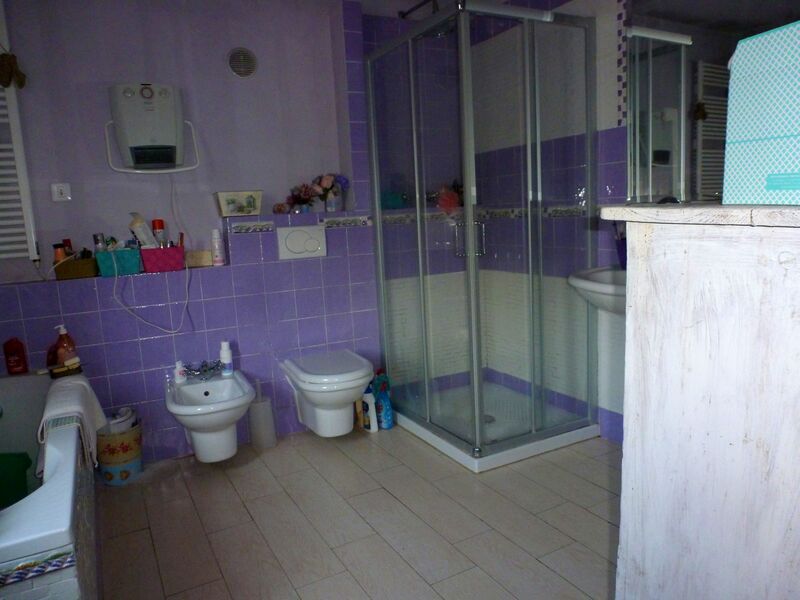 Moving on there is a large service room (which could become a second bathroom), and then a few steps bring you up into the large kitchen with balcony, the dining room, the living-room with it’s spectacular windows, then the bedroom with bathroom and walk in cabinet. 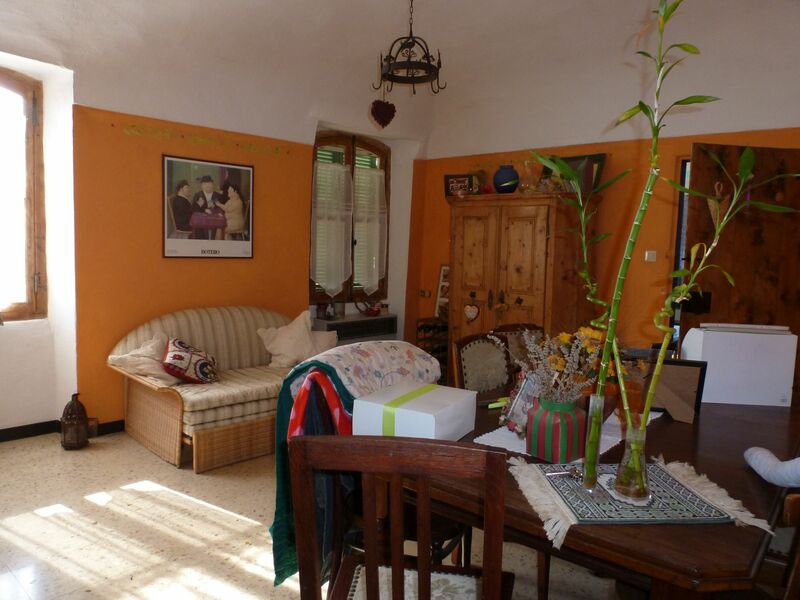 The house is very characteristic and has a lot of charme. 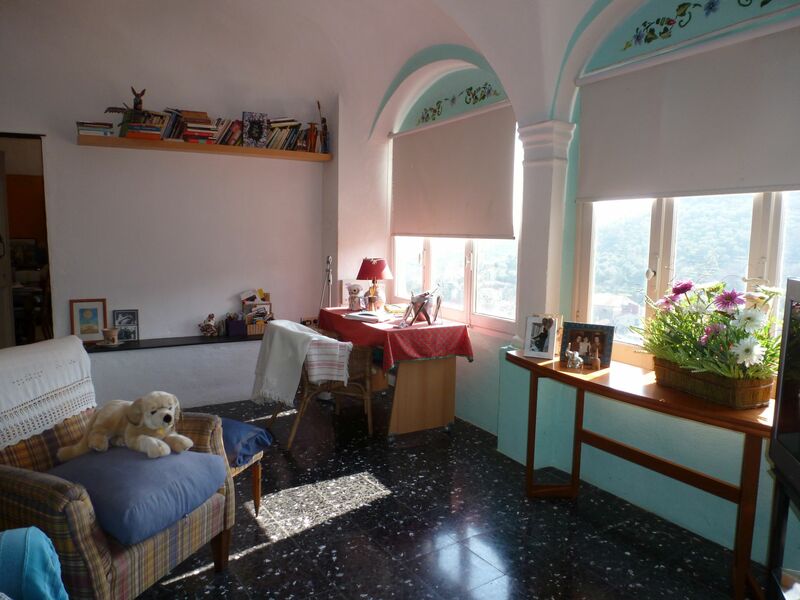 It is very bright as almost every room has two windows. 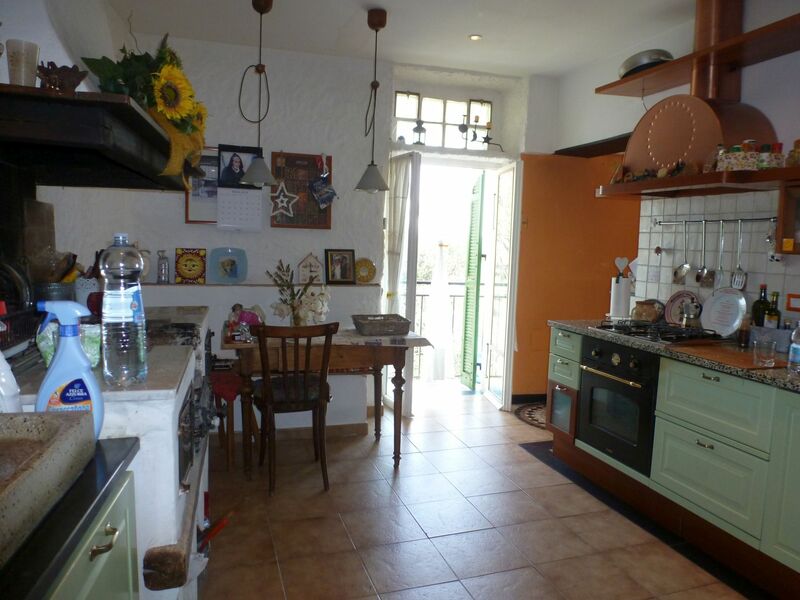 The ceilings are vaulted, where possible the original floors have been maintained, the kitchen offers an old kind of barbeque. 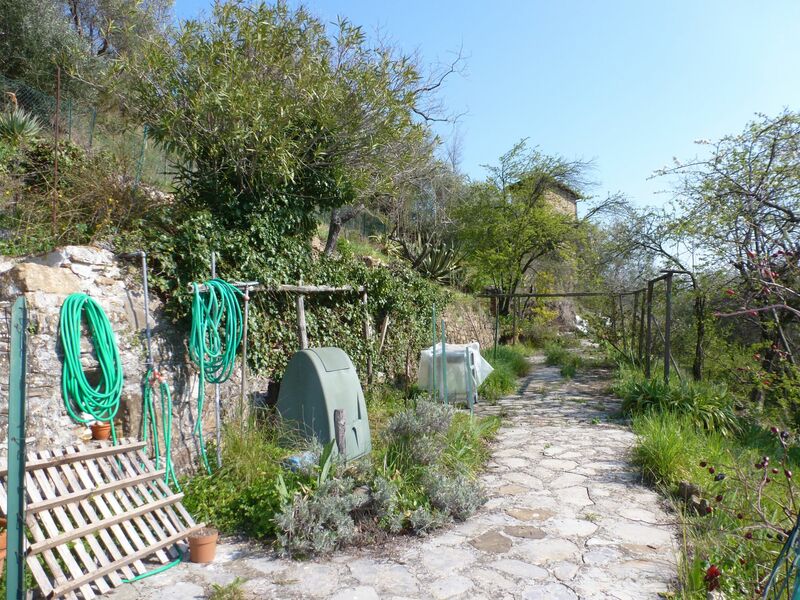 The garden measures 570 sqm and offers fruit trees. 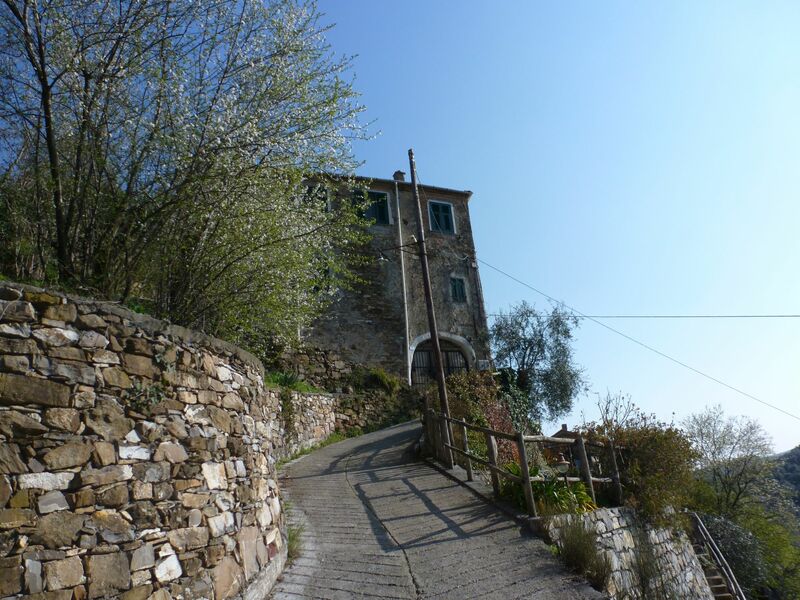 The road up to the house is narrow and a bit steep. 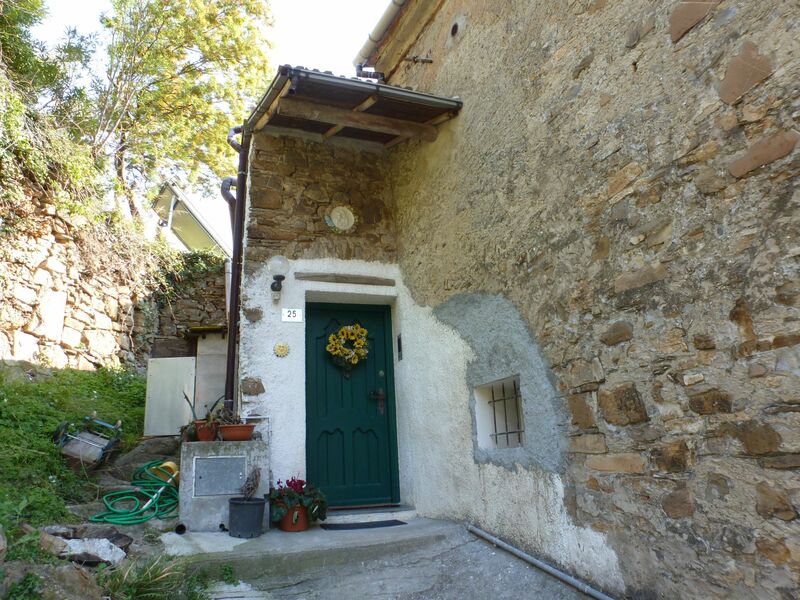 So you can reach the house by car, but it must be a small car, or you can walk up.